Cult of the Possessed , First modell , a big Possessed ! The Three Armed Guy is a GREAT mini, WONDERFULLY painted. The color choices, particularly the flesh tones, are OUTSTANDING...love his nose. MERRY CHRISTMAS! thanks al!Jap, the nose is quite "outstanding", , and merry christmas to you too! VERY COOL...in a creepy sort of way! 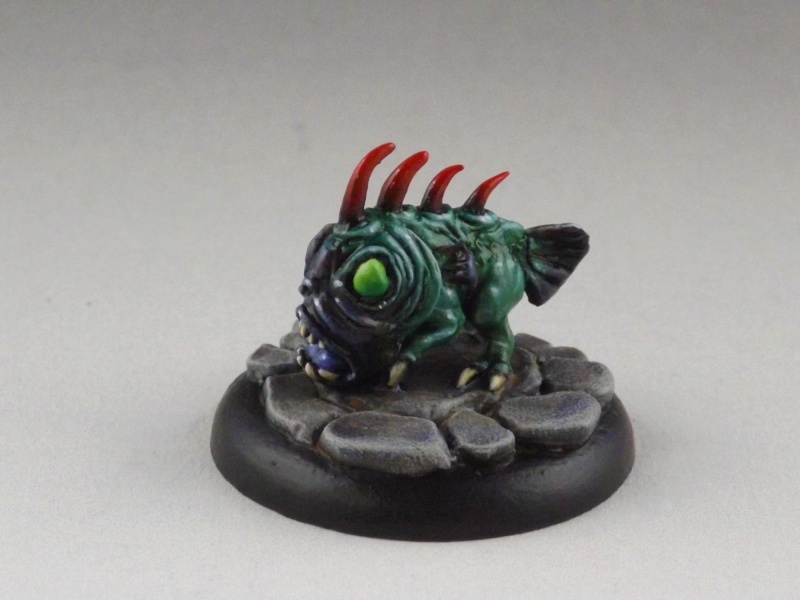 The pupil-less eyes set the mood for the mini. GREAT WORK! Update time, and merry christmas to all of you mordheimians! UBERCOOL! The color choices & brushwork are OUTSTANDING...once more, I love the nose. GREAT WORK & A MERRY CHRISTMAS! This has to be one of my favourite warbands of all times and your latest paintjobs are among your best of all times! Amazing brushwork!! Can't wait to see more painted and then a family portrait! 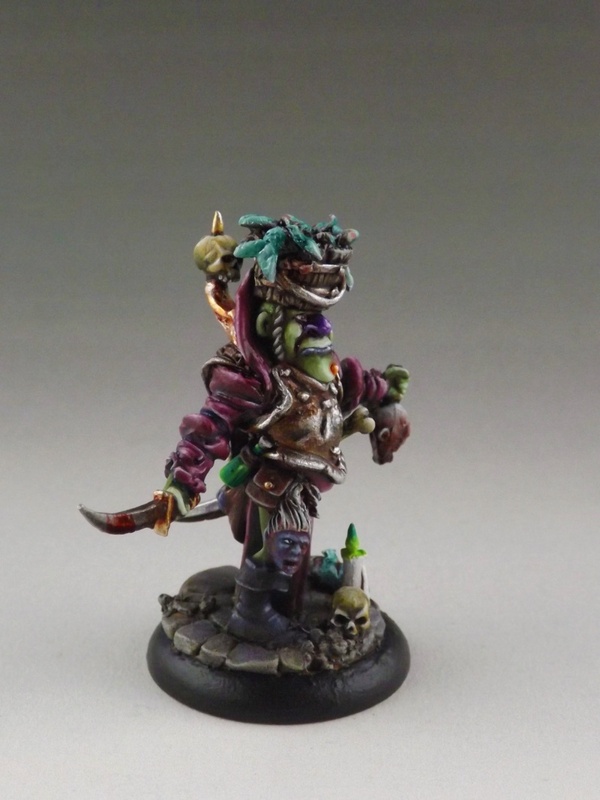 @JoaoS: Well, the roses for this paintjob have to go to martin grandbarbe, though i didnt mentioned him, i only wrote about the picture that arrived that day( of the painted mini). 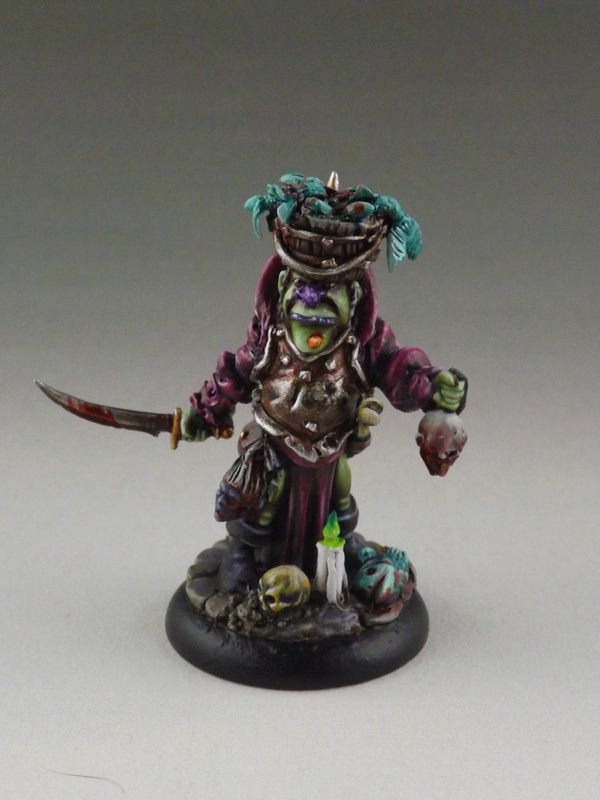 Oh man, if i would be able to paint like this, well, then i woudnt be forced to send them to france. No, sorry, wasnt me´. Well, it's a very good investment you're doing, as the paintjobs are bringing these wonderful creations of yours to life! 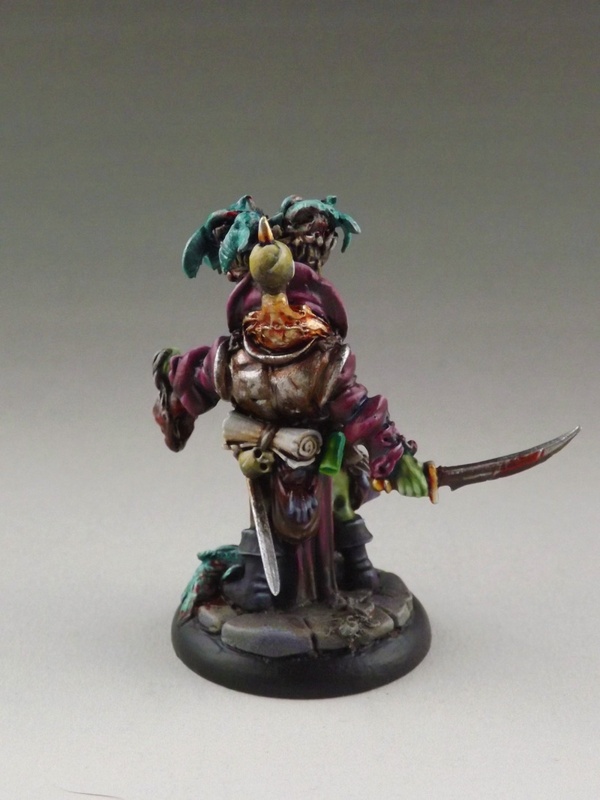 So, i just recieved one more pic of the next mini done fo the warband, here he comes, Hermann von Hartbeugen, the warlock hireling, love him! 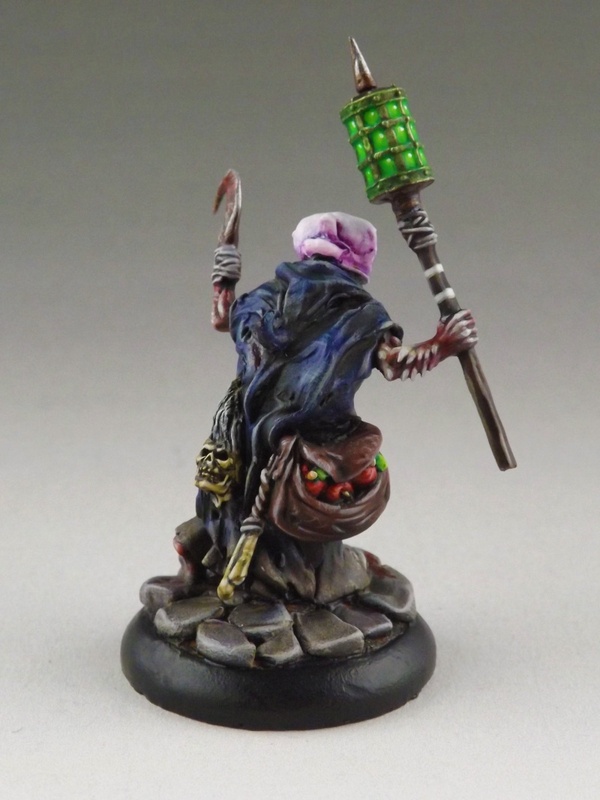 That one is really nice, especially his glowing lantern! Hermann is an INCREDIBLY INTRICATE mini...there's too much to take in in a single viewing. 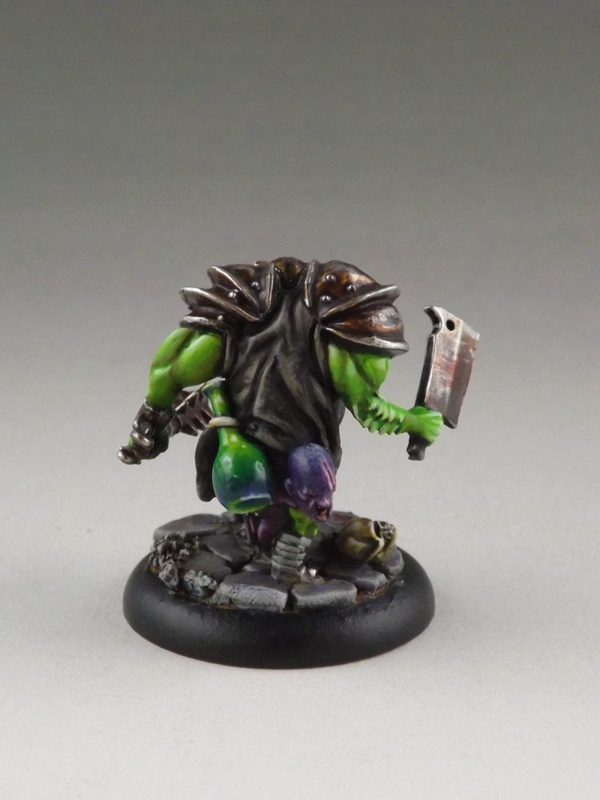 The brushwork is OUTSTANDING...fine enough to do the mini justice. GREAT WORK all around! 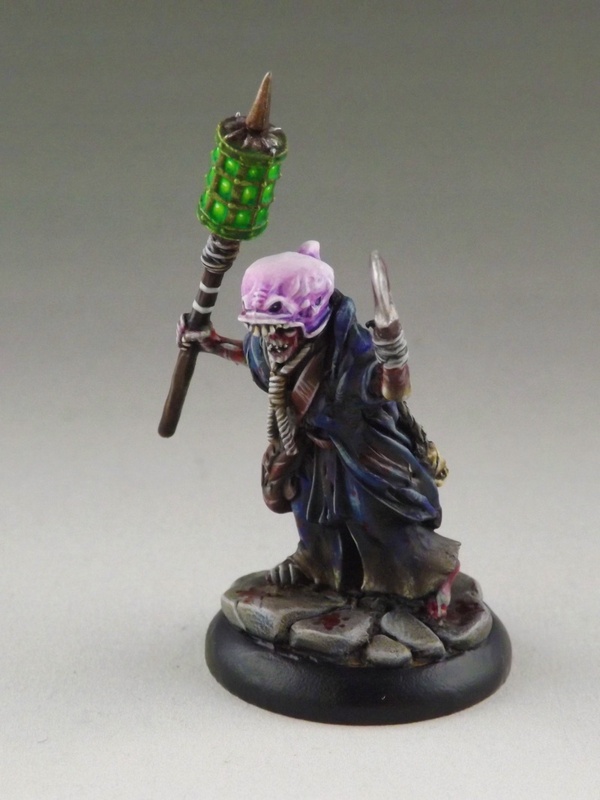 Amazing kit bashing with flagellants and Skaven - and more, I'm sure! Love this model, no matter how disturbing it looks. Your warband is incredible! That topic is one of my favorite on this forum. 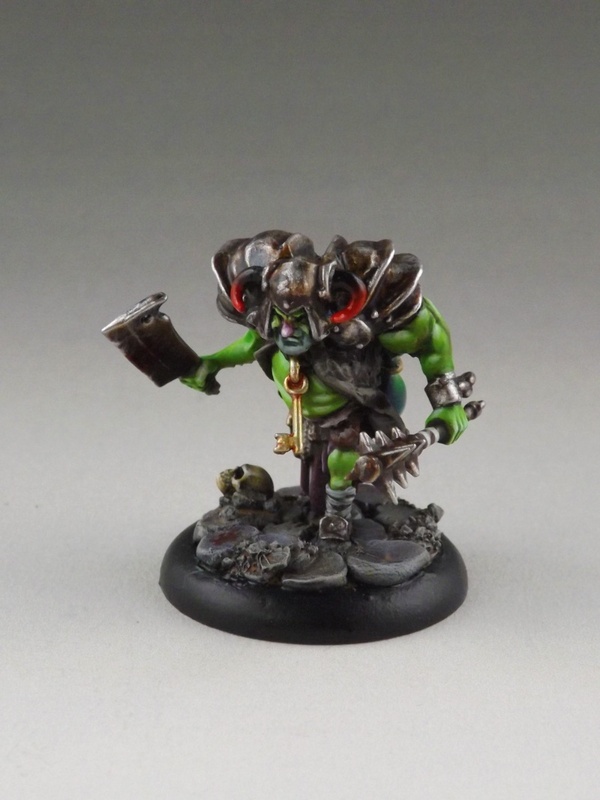 Conversions are crazy like in Mordheim shoulde be! Awsome stuff and great work! Love hin. The miniature looks realy crazy. Wow you painter hired sword is worth his money. He really can show us everything of your fantastic scuplts. I will send him the two possessed you sculpted for me too. I never had the guts to paint them myself. 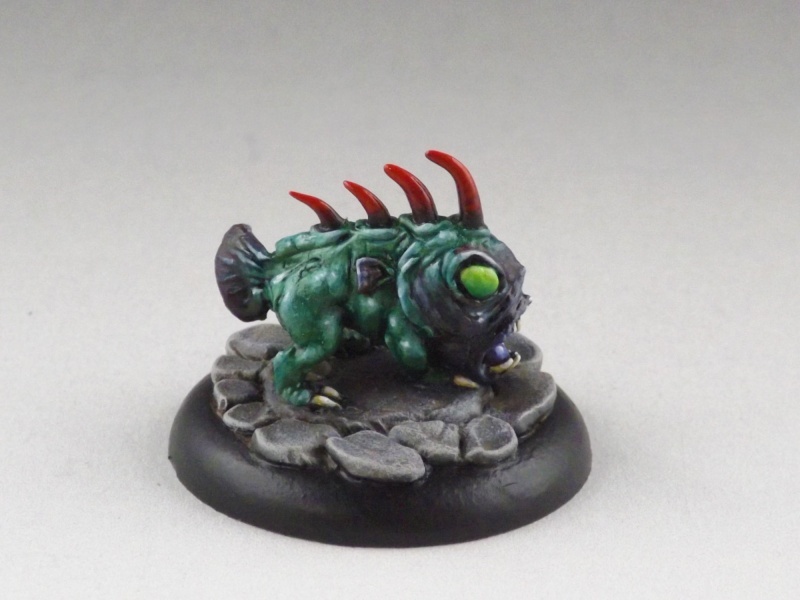 And by the way i am looking forward to see your magister, Fischlein and the "snake" possessed from your first post painted. I am shivering of joy and excitement. Oh, one of my favourites!! Love, love, love the fish bucket!! That is VERY COOL, INSPIRING, & STRANGE! The highly original creation is BRILLIANT; the fish bucket chapeau, that wonderful nose attached to an equally wonderful & expressive face, all the little details on mini & base add up to a mini that's a visual experience. The brushwork & color choices are equal to the task of bringing a unique piece to life BEAUTIFULLY. EXTRAORDINARILY WELL DONE! Gracias senores, much appriciated, not to forget the roses going to monsineur grandbarbe! I'd really like to know what Mini you used for this one. Or precisely, where is this face from? Did you do it yourself? MAGNIFICENT! Now THAT is a nose...nice shade of purple too. VERY WELL DONE! Subject: Re: Cult of the Possessed , First modell , a big Possessed !